Ritu Biyani is an outstanding woman for a special reason. She became the spot light when her own personal pain and suffering with breast cancer made her wholeheartedly take it up as her significant life’s mission to largely spread awareness among tribal, urban and rural reaches of India. With lot of perfection, self confidence and will power, Ritu Biyani is one such person who wish to spread an important message among women in general and the society at large. Her mission is the need of the hour for all those women who are unaware of this type of particular cancer or suffering with it silently without any medical assistance. Ritu is a significant record holder in her own special category. She holds the Limca Book of Records, India for being the initial Woman to indulge a solo drive to the four corner tips of India. 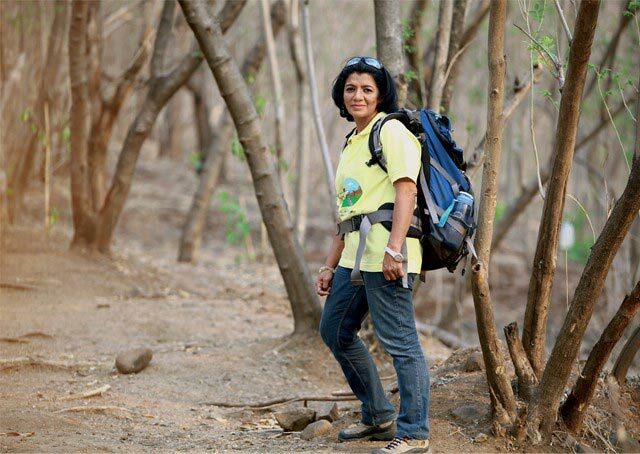 On the other hand, she also holds the record related to the first mother-daughter duo expedition in a successful manner on cancer awareness across the nation with several more laurels. Most of the great personalities in the medical field appreciated and applauded her efforts for spreading the message of cancer prevention. They indicated that her mission and motive is the need of the hour for women at large and society in general. Many VIP’s and concerned Government departments of central and state Government extended their support and assistance. They also recognized her efforts and gave honors and awards. Ritu always have a long story to share regarding her personal experience related to her breast cancer. Now, she is on her mission related to cancer awareness among people of India. She really enjoy in making people understand all aspects that is from early detection to preventive treatment of breast cancer in a successful manner. It is to be remembered that she never requested for cancer funds in her mission. On the other hand, witnessing her wholehearted efforts related to breast cancer awareness, people have extended their assistance and support through funds that is needed to help patients who are suffering from different types of cancer in this world. Many clubs and associations came forward supporting her initiative in a successful manner. Ritu Biyani created history by indulging in breast cancer awareness in a special manner. It is an initial project of its kind wholeheartedly undertaken in India. It is to be highly noted that by profession, she is a dental surgeon. Her keen interest made her as a paratrooper, skydiver and mountaineer. She is a loving mother for her daughter. She is termed by public as a wonderful person to chat. She is good at sharing her personal and professional experience with others. She is ready to talk in length regarding her completed, on-going and forthcoming missions. All these indicate her active participation to fulfill her goals in life and witness happiness in others to a great extent. Ritu Biyani is the best example of an extraordinary journey made by an ordinary woman in a successful manner. Her journey to nook and corner of India had a strong message related to Breast cancer awareness among women. Her passion for traveling helped her to complete this particular mission in a successful manner with many positive results. Her effort was an eye opener for women who are illiterate and never heard about cancer in general in this world. She also rightly spread her message among the urban and rural women who were actually suffering in silent without any medical assistance. She teaches people regarding how to fight against cancer with preventive measures in the right direction.